ExpressVPN For Kodi, Is It The Fastest & Top VPN For Kodi? ExpressVPN is our choice as the best VPN for Kodi due to it's great feature set, customer service and more importantly the best speed when streaming with Kodi. Fast: When it comes to streaming content we didn't find any service faster. Secure: No logs, leaks and comes with 256bit AES OpenVPN Encryption. P2P Enabled: Not necessary for many Kodi addons but when using streaming addons that run off torrents you'll need this. Best Refund Policy: Try it for up to 30 days, if you don't like it you can request a full money back guarentee. Geo Unblock: Works great for unblocking Geo sensitive streaming and sports. Apps:Makes setup and using easy even on the most problematic or difficult devices. ExpressVPN provided a pleasant surprise when we tested it out through various addons and websites within Kodi and other third party plugins. Results typically vary from user to user and addon to addon but consistently ExpressVPN provided us with the best performance and unmatched VPN speed when streaming content through Kodi. Unlike a lot of other VPN providers trying to corner the Kodi market, we noticed only about a 7% decrease in speed compared to when we weren't connected to our VPN. The next closest drop comparatively was 18%. Speed alone might be your sole reasoning for choosing ExpressVPN for Kodi, but security is just as important. 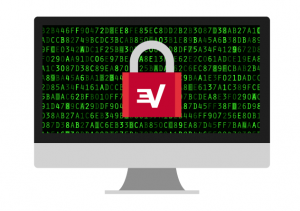 Thankfully, ExpressVPN provides a robust set of security and privacy options. Being based in the British Virgin Islands may thwart the ultimate privacy fanatics but this typically provides little to no threat to any VPN user (as of this writing). When it comes down to the average Kodi user, security and speed is of upmost importance when choosing a VPN provider...thankfully ExpressVPN has you covered. Finally we were incredibly happy with the customer support. Configuring their VPN for use with Kodi will rely (somewhat) on you but for the most part installation of the VPN client on your device will be all you'll need to get started being protected. Speed, security, privacy and superior customer service, ExpressVPN has provided one of the best options for Kodi streamers. ExpressVPN comes with one plan but three different pricing options. Similar to other Kodi VPN providers the pricing structure is tiered based on your length of commitment. At $12.95 a month the monthly plan is on the higher end of the scale compared to other Kodi VPN's but if you've tried ExpressVPN and loved it a longer commitment will save money and be very reasonable for the features you receive. ExpressVPN offers a free trial only on mobile platforms like iOS and the Google Play Store due to their policies. For other users (Windows, MacOS) a free trial doesn't exist. This shouldn't be of to much concern though as they provide a 30 day money back guarentee, meaning if you want to cancel within 30 days of purchase you will be refunded with no explanation or loop hole needed. Signing up is a breeze as well thanks in large part to multiple payment options. ExpressVPN can be purchased with most major credit cards, PayPal, Debit, PaymentWall and even Bitcoin. If you're an avid user and have a handful of family and friends you want to recommend the VPN to you can also recieve 30 days free for both of you when referring anyone. ExpressVPN comes with a robust set of features and tools for the ultimate security, privacy and peace of mind when using Kodi. It supports most current VPN protocols but we recommend using OpenVPN when streaming in Kodi if possible. The fastest servers (we've tried) in 94 countries. 24/7 Customer support through their live chat. Apps for Windows, Mac, Android, iOS, Linux, Fire TV and much more! 3 Simulataneous Connections on one account. 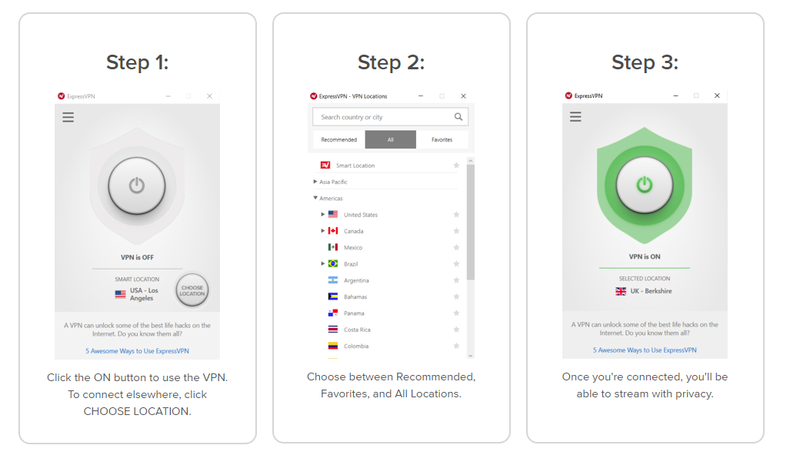 ExpressVPN is home to some of the fastest VPN options in the industry (this varies from user to user but on average it has provided the most reliable speeds). Currently the company has 94 country locations and up to 148 servers scattered through each of those 94 countries. Through the ExpressVPN app you'll be able to choose the best server location for you so you can ensure the best Kodi streaming experience. If that doesn't work you can always use the built in speed tester designed within the app to try and narrow down the optimal servers for your Kodi streaming use. This tends to go unnoticed with many Kodi VPN providers but ExpressVPN provides unlimited bandwidth meaning you can stream as much content as you want through your VPN without worry. Keep in mind that this doesn't include any of your ISP's bandwidth possible streaming bandwidth caps. While the two are different you can relax knowing ExpressVPN won't charge extra for any overages run through their VPN. No matter the time of day ExpressVPN's live chat feature is working. Ask any question or solve any problem you have at anytime, something a lot of other VPN providers can't give you. Fast speed, robust security and above all that you can protect yourself with ExpressVPN on most popular Kodi devices. In the past we've had to resort to using side-loading and funky work arounds to get VPN clients working on devices like the Fire TV or other Android boxes. ExpressVPN comes capable of being fully installed on traditional devices and platforms like Windows, MAcOS, and Linux but also it's just as easy to install on devices like the FireTV, Nvidia Shield, Android boxes and now even the Xbox (which now supports Kodi). Most users of ExpressVPN will typically use OpenVPN encryption. Other VPN providers may opt for alternative options to increase their speeds but the OpenVPN protocol being used through ExpressVPN has still managed to provide exceptional results. The use of OpenVPN and incredible speeds is a why we love ExpressVPN. While privacy in the past has been a topic of concern from users, anyone looking at ExpressVPN as a Kodi option need to understand that the company only keeps logs on things related to connection errors and bugs within their VPN application. Tin hat privacy enthusiasts may not be happy about this but it is very unlikely anything will ever happen to ExpressVPN's users. As a member of the British Virgin Islands it's possible that it may one day see pressure from the UK (very unlikely) but being in the Islands is a far greater advantage then being a part of the 14 Eyes. VPN performance is going to vary from user to user and especially from addon to addon within Kodi. ExpressVPN provided us with the greatest playback when using some of the more commonly used addons within the Kodi community for streaming. While we could go into greater detail on technical analysis on the net about this we figure it's already pretty covered from other blogs on the internet. 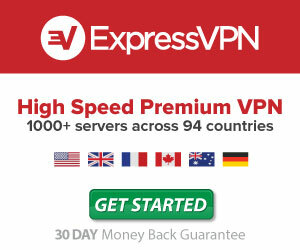 The best thing we can do is provide our suggestion, the best thing you can do is sign up for ExpressVPN and if it doesn't meet your needs then request your money back from their 30 day guarantee. 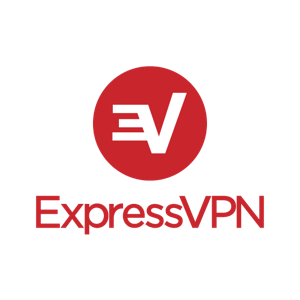 ExpressVPN comes ready to install and run and the majority of popular Kodi devices currently on the market. In the past we've had to use some work arounds to sideload apps and others onto popular Android and iOS devices but ExpressVPN provides one of the easiest setups to get up and running no matter what you're using to stream content in Kodi. Some VPN providers have created their very own plugin to be used in conjunction of Kodi. Unfortunately ExpressVPN does now have a plugin you can install but for good reason as running the service through their app provides better performance, security, and speed. 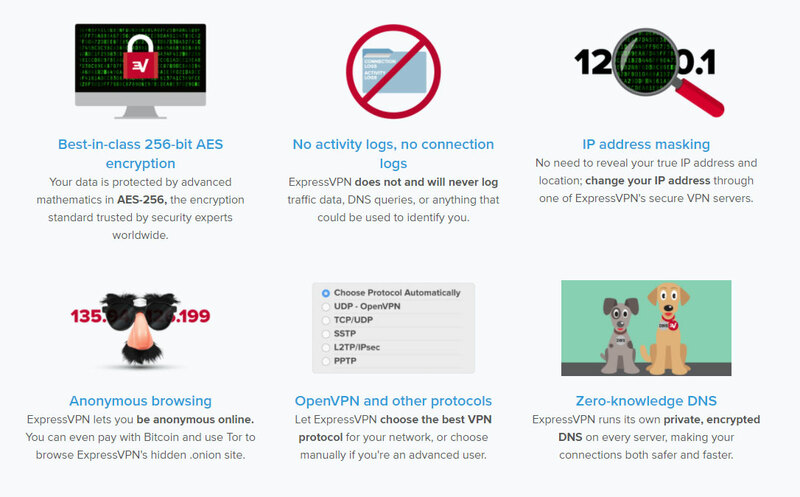 Sign up for an ExpressVPN account and subscription. Once complete download and install the windows app on your PC. Connect to one of the VPN servers. Wait for connection confirmation and simply continue streaming Kodi the way your normally would. While some VPN providers are lagging behind in the FireOS development, ExpressVPN provides an easy to use app thats already launched on the Amazon app store. It's as simple as searching for, downloading and then entering in your account information and using it on your FireTV or Fire TV Stick. If you need more information you can follow the well laid out ExpressVPN tutorial here. Once complete download and install the Android app onto your phone, tablet or Android TV. Connect to any server location. Open Kodi and stream as you see fit. In our never ending search to seek out the best VPN for Kodi we're proud to pick ExpressVPN as our choice thanks in large part to it's reliable speeds, robust security and it's ability to install on almost all the popular devices typically used and associated with streaming in Kodi. Today more then ever with net neutrality dwindling owning and using a VPN on a regular basis is incredibly important and we believe you'll enjoy the folks at ExpressVPN thanks in part to their service but also incredible customer support. Heck, the least you could do is try it and if it doesn't work for you then take them up on their 30 day money back guarantee with no questions asked. That being said we don't believe you'll have much to complain about choosing ExpressVPN as your Kodi VPN.